Episode #254 of our FML series. Please check out all 10 seasons and all of the holiday specials right here on this channel. We have playlists for them all! All-new trailer for Notebook Entertainment and Kaw Films production of Gingerman. This trailer focuses on the legend of Gingerman. Please share if you like horror. 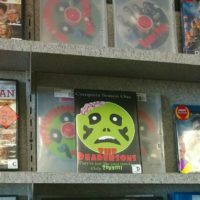 Our web series, The Deadersons, is now available to rent in several Family Video stores across Northern IL and Southern WI !!! Head on in and rent a copy today! If your local store doesn’t have a copy, please feel free to request that they carry it 😊 Show some love for indie film!